The Crimson Storm Baseball team took the field last Saturday, February 1 against our sister university Mid-America. 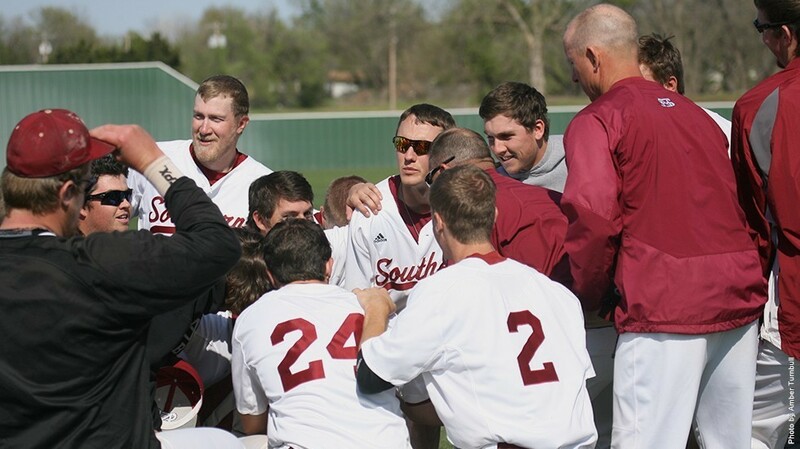 SNU Baseball ended their 2013 season with an overall 20-25 record and a 9-21 record in the GAC. The boys are more than ready this season to jump out there and take the field. The boys have a whole new pitching staff this year and a great senior catcher with a lot of experience. With a stack of returners and a few dark horses in the mix, the boys are more than ready to get their season going. To help publicize the new season, SGA hosted Baseball Cap Day on Monday, February 3 for the team’s games against cross-town rival Southwestern Christian. Student Government gave out hot dogs and sunflower seeds to promote support for the team and student involvement. The next home baseball game will be on Saturday, February 8 at 1pm. So come on out and enjoy America’s favorite pastime!